London, UK. 10th August, 2017. A police horse enjoys a drink in Hyde Park, London, UK as warm temperatures return in the British capital this afternoon. Credit: Ben Furst/Alamy Live News. London, UK. 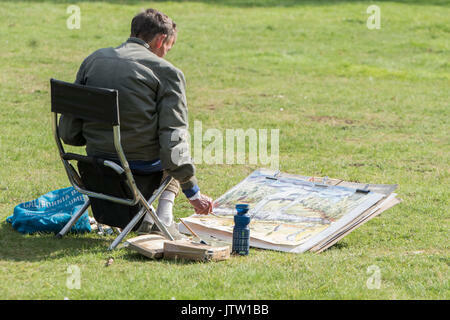 10th August, 2017. a man works on a painting of Kensington Gardens as warm weather returns in London, UK. Credit: Ben Furst/Alamy Live News. London, UK. 10th August, 2017. Two men sunbath in Hyde Park in London, UK as warm weather returns in the city. Credit: Ben Furst/Alamy Live News. London, UK. 10th August, 2017. 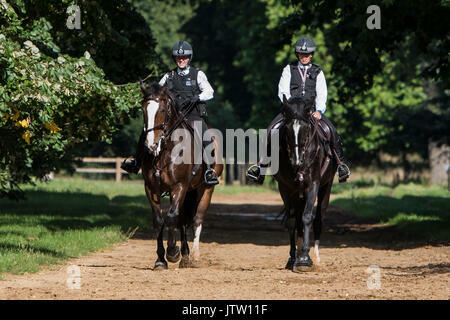 Mounted police patrol in Hyde Park, London, UK this afternoon as warm weather returns in the British capital. Credit: Ben Furst/Alamy Live News. London, UK. 10th August, 2017. 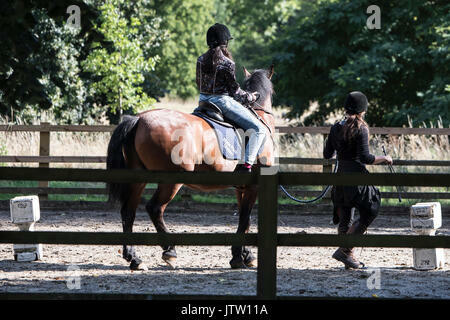 A young horse rider makes the most of the sunny weather in Hyde Park, London, UK. Credit: Ben Furst/Alamy Live News. London, UK. 10th August, 2017. 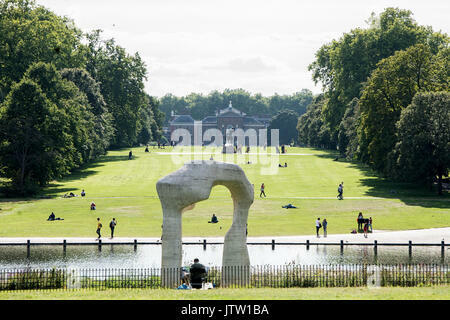 A man relaxes in Kensington Gardens, London, UK this morning as Lononers make the most of the dry weather. Credit: BSFUK/Alamy Live News. London, UK. 10th August, 2017. 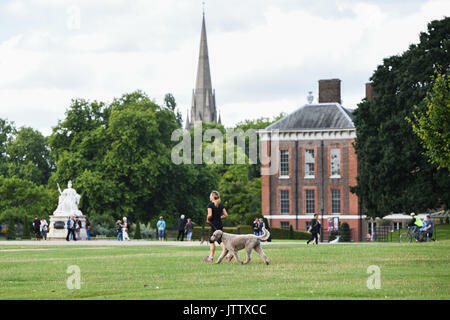 A woman takes advantage of the dry weather to walk her dog through Kensington Gardens in London, UK this morning. Credit: BSFUK/Alamy Live News. London, UK. 10th August, 2017. Cyclists ride through Kensington Gardens this morning as the sunshine makes an apparition in London, UK. 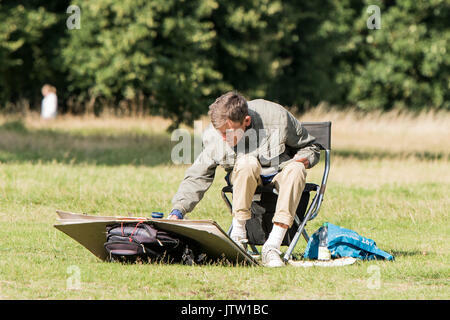 Credit: BSFUK/Alamy Live News. London, UK. 10th August, 2017. 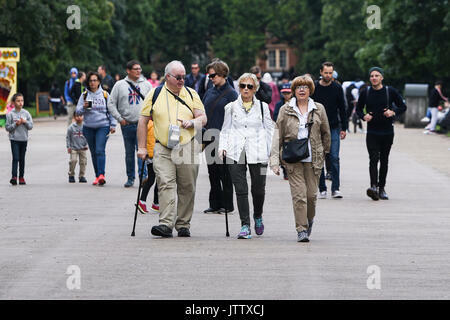 A group of tourists walk through Kensington Gardens as they make the most of the dry weather this morning in London, UK. 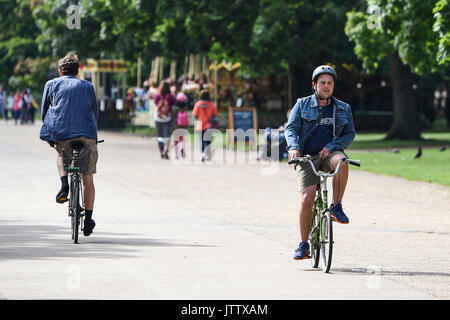 Credit: BSFUK/Alamy Live News. London, UK. 10th August, 2017. Two women take a selfie in Kensington Gardens as they enjoy the dry weather this morning in London, UK. Credit: BSFUK/Alamy Live News. London, UK. 10th August, 2017. 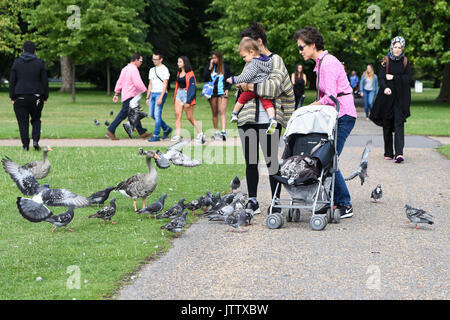 A family enjoys the wildlife in Kensington Gardens in London, UK this morning. Credit: BSFUK/Alamy Live News. London, UK. 9th August, 2017. A motorist drives into a large puddle in Paddington, London as heavy rainfalls hit London, UK. Credit: Ben Furst/Alamy Live News. London, UK. 9th August, 2017. 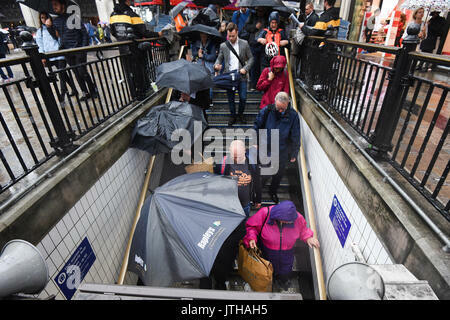 Commuters walk into Oxford Circus underground station as heavy rainfalls hit London, UK. 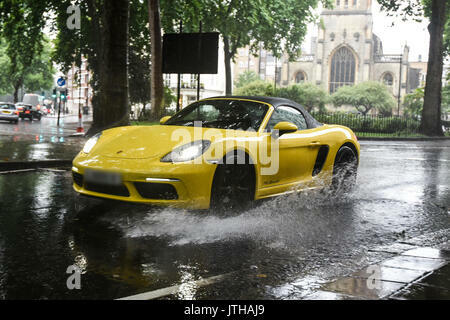 Credit: Ben Furst/Alamy Live News.